KREWSON Karen Louise Karen Krewson, 50, of Maumee, OH died on February 5, 2012, of leukemia at University of Michigan Hospital with her family at her side. She was born on December 1, 1961, to Vivian and Alton Liebnau. She graduated from McAuley High School in 1980 and was a Registered Nurse as well as a Nurse/ Paralegal, a graduate of The Toledo School of Nursing. She was married on October 15, 1988, to Brett and had two children, Lindsey, 17, and Emily, 15. She is survived by her parents; sister, Christine Benham, and close cousin, Jeff Duncan. She also leaves behind many much-loved nieces and nephews; aunts and uncles, and cousins. She was preceded in death by aunts, Sally Duncan and Ruth Brandt; as well as her beloved grandparents. 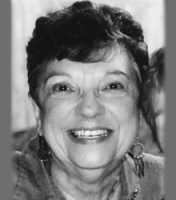 Visitation will be from 3:00 until 8:00 p.m. on Thursday, February 9, 2012, at Maison-Dardenne-Walker Funeral Home, 501 Conant in Maumee. Memorial services will be Friday, February 10, 2012, at 10:30 a.m. at Trinity Lutheran Church on Glendale Avenue. Private burial will immediately follow. Those planning an expression of sympathy are asked to consider the Leukemia and Lymphoma Society or Trinity Lutheran Church. Been working for Midmark in Versailles Oh for 5 years. My position is Chief Admin Officer which affords me great variety in what I do each day. I lead the HR, Guest Svcs, Corporate/Mktg Communications and Corporate Strategy functions. Never a dull moment. Celebrated 30 years of marriage to Mike and are now empty nesters enjoying our freedom!